You can’t be like Jesus unless you are a person of deep fellowship with the Heavenly Father. Jesus spent time with the Father. If we are to be like Him, we must also be people in daily relationship with the Father. Most of you know that Martha and I and a number of people from our church spent ten days in Israel. We went to see the land, but we also went to experience something of God’s presence. You must remember that we do not worship places. A place is holy only because God is there. That would make your prayer closet a holy place. I want you to see two areas about the prayer of Jesus. First, Jesus spent significant time in prayer. He often went to a deserted place to pray. Apparently the disciples knew His places of prayer. 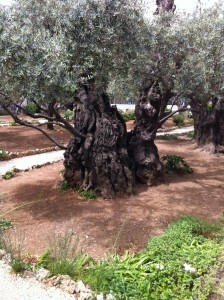 Judas knew exactly where Jesus would be in the Garden of Gethsemene when He went to pray. Do you have a place where you pray? Is there enough to your prayer time that others would know where to find you when you pray? Developing special times for prayer and a special place for prayer might help you to develop your prayer life beyond where it is right now. Over the past few years I have found that having a special time and place of prayer has helped me in my relationship with God. For me, early in the morning and late at night are special times to pray. If I can begin the day with God, I feel equipped for whatever may come my way. This seems to be one of the many reasons why Jesus spent significant time in prayer. Second, Jesus’ time of prayer prepared Him for His ministry to the world. 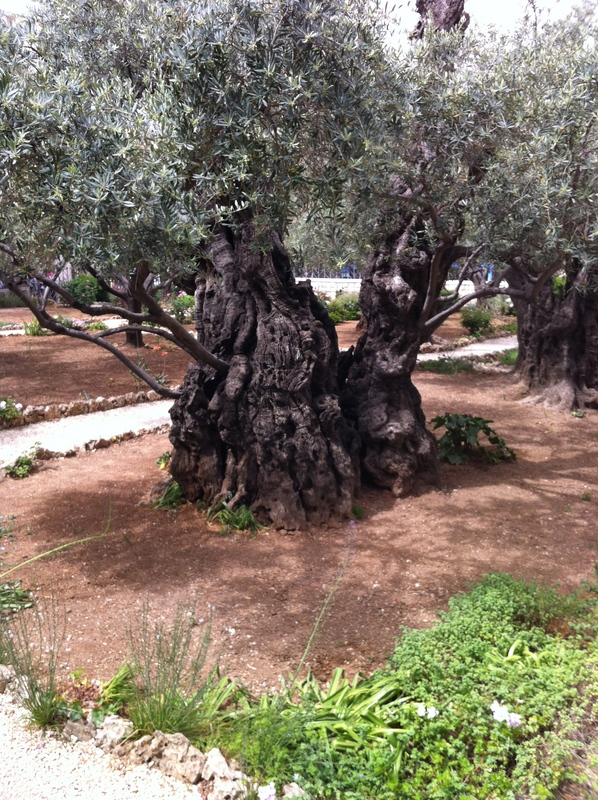 Last week, one of the pastors on the tour talked about the importance of the prayer in the Garden. He said: “The battle was won in the Garden. Good Friday was simply executing God’s plan that had been won the night before.” That may have been the case. When we daily read the Scripture, meditate on it, and pray through the areas where God guides us to pray, we are ready for battle. As you know, I care for my Mother. She has spent her life praying for her children, thanking God for the Beauty of the moment. She talks to her departed parents, especially her mom, each night blowing kisses at their pictures I have set up near her bed. When we went to the Lord in prayer about Jefferson Parish Museum and set the financial target God inspired; which more than doubled her net worth and it included many other donations and Trusts. When we first asked God for His direction and I shared with her the financial goal, she looked at me wide eyed asking,”Do you really think that can happen?” I responded, “It is God’s number, it will up to Him to make it happen, but we will have to do our part.” She was amazed. Four years later property had been purchased, as arranged by my Dad before his passing, I was providing for my family out of the increase, we were generous to a fault; and I began laddering out of stocks into AAA, insured tax free units of Municipal Bonds that were paying in excess of 6% and as high as 7+%. (Money Markets were paying over 5%.) As per her request, we shared the information with no one except the Wachovia Broker who promised to help. We made our target and then some. During this time my sweet mother began to change. I had to remind her of Poppa Deutsch who found her crying at the dining room table because my parents made an offer on north shore property that was accepted before I was born. They did not have the money. He said, “Don’t cry Rene. I’ll be back in a minute.” He came back with a check for the amount needed. She had forgotten she told me the history of Tanglewood as a young person when “Poppa” Herman Deutsch was still alive. Since I was about the age of my Dad when he had three massive heart attacks in succession and Scripture says to treat others the way you would be treated, I shared the success and prayer intentions with my only sibling. The rest as you say, is History. I have found God keeps sending me back to the Body and Bride. My experience of life has revealed His ways are above mine. It sure wasn’t my idea to go back to school or be at risk on the mission field with young children. Yesterday, as I cleaned the grounds of my parents’ house, I was reminded to give thanks to God for Mr. Arnold who was head master at Clifton L. Ganus. When I, a seminary student with an income of less than $15,000.00 a year was supporting a wife and three children, could see no way I could afford private school. The culture shock to a teenage girl forced into the New Orleans Public School System was taking its toll. I remember her teacher saying to me, “Mr. Matthew, she is not a bad child. She doesn’t cause a disturbance, but I am concerned; she doesn’t participate. She just sits there.” God’s provision was just like manna. Just enough. God helped me save my Daughter using Mr. Arnold who said, “Mr. Matthew, I’ll work with you!” Tears come to my eyes in reflection. May I never forget. The income is gone. The sands of life flow. My eyes are lifted.